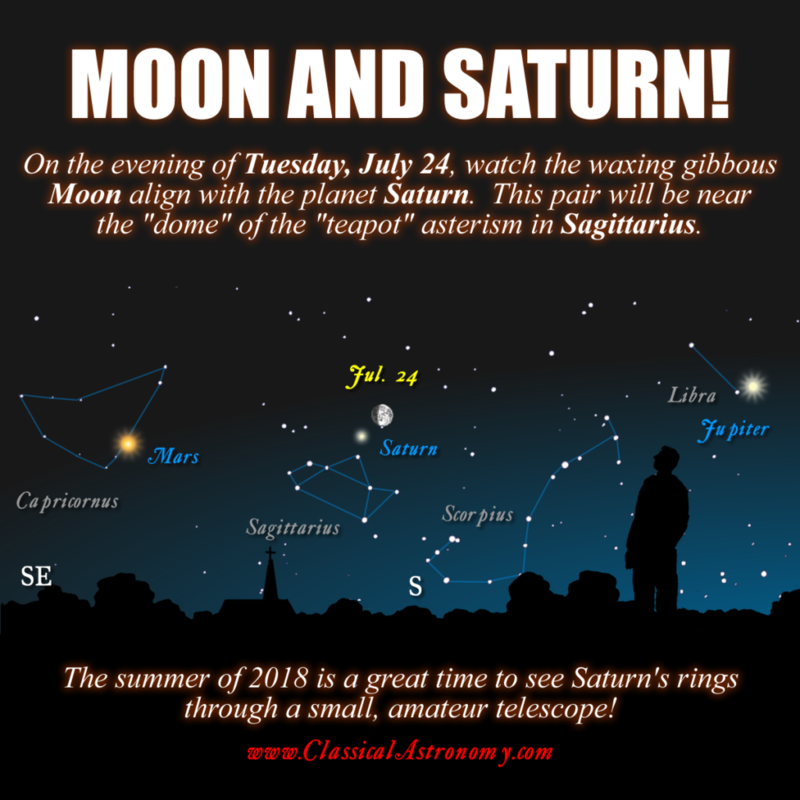 On the evening of Tuesday, July 24, after night falls, look for the waxing gibbous Moon in conjunction with the planet SATURN. This pair of celestial bodies will be very near the “dome” of the “teapot” asterism of the constellation Sagittarius. This point in the sky is very close to the position of the Sun on the winter solstice. So as you’re gazing at the Moon aligned with Saturn, try to imagine that this is how high the Sun will be at noon on the shortest day of the year.